Oren Lavie has green eyes, long curly hair and relatively cold feet. He was born in June, one week behind schedule and has been trying to catch up ever since. He likes to sleep late but does his best writing early in the morning, which is why his best writing so rarely gets done. Oren is a musician, director and author of children’s books. Oren’s debut album THE OPPOSITE SIDE OF THE SEA has been released worldwide to critical acclaim, with the music video for “Her Morning Elegance” nominated for a Grammy and becoming a YouTube hit with over 30 million views to date. Oren has won the prestigious ASCAP award for his lyrics on the album. Oren’s song “A Dance ‘round The Memory Tree” was featured on Disney’s film, “The Narnia Chronicles – Prince Caspian,” . Other songs from the album have been featured on movie and TV soundtracks. Oren was invited to perform on the Jimmy Kimmel show, where he played and sang accompanied by a puppet. As an author his philosophical children’s book, The Bear Who Wasn’t There, was translated to numerous languages and has been published throughout the world to wonderful reviews. He is about to publish his second children’s book, Children’s Book Of Silence. As a playwright and director his work has been produced in London, New York and Tel Aviv, under his direction. 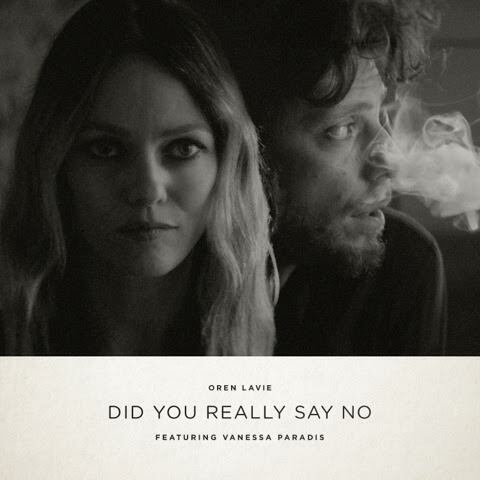 For the first single on his new album Oren has written and directed the music video, “BEDROOM CRIME#1: Did You Really Say No,” featuring Vanessa Paradis. “Second Hand Lovers” single and music video digital release worldwide. “Did You Really Say No” single and music video digital release worldwide. A way for me to send you all kinds of things. Though I make no promises.